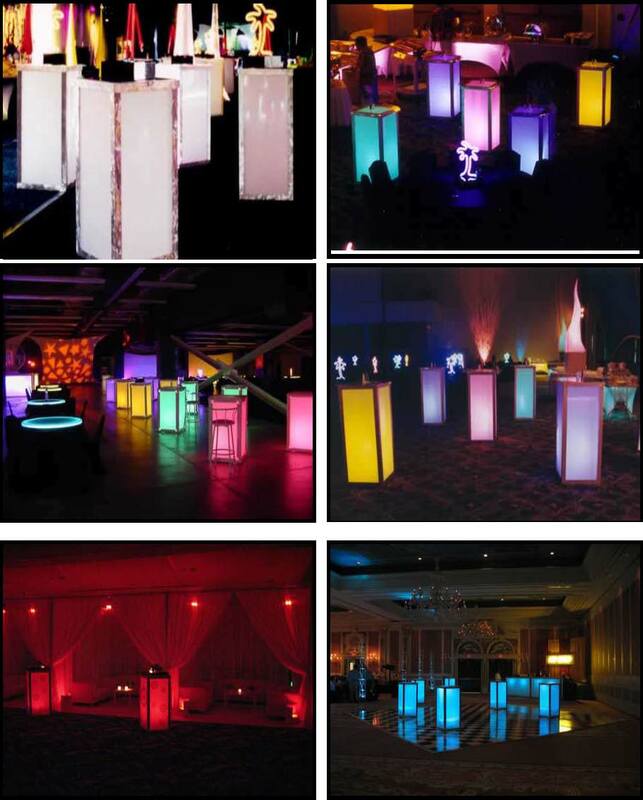 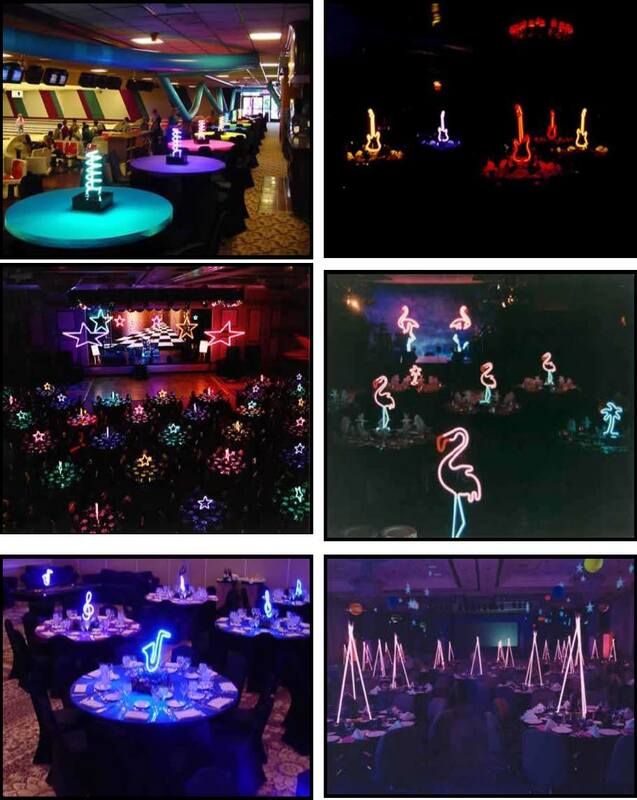 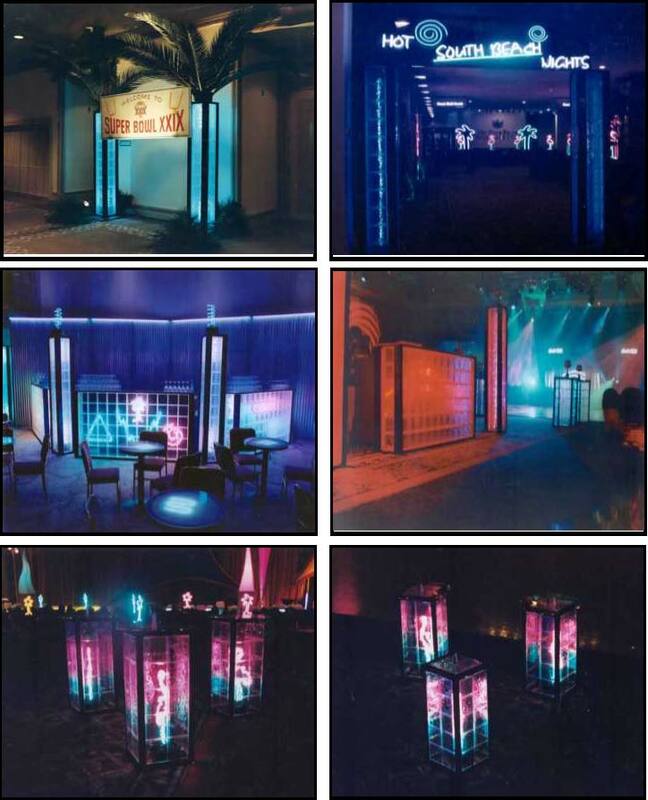 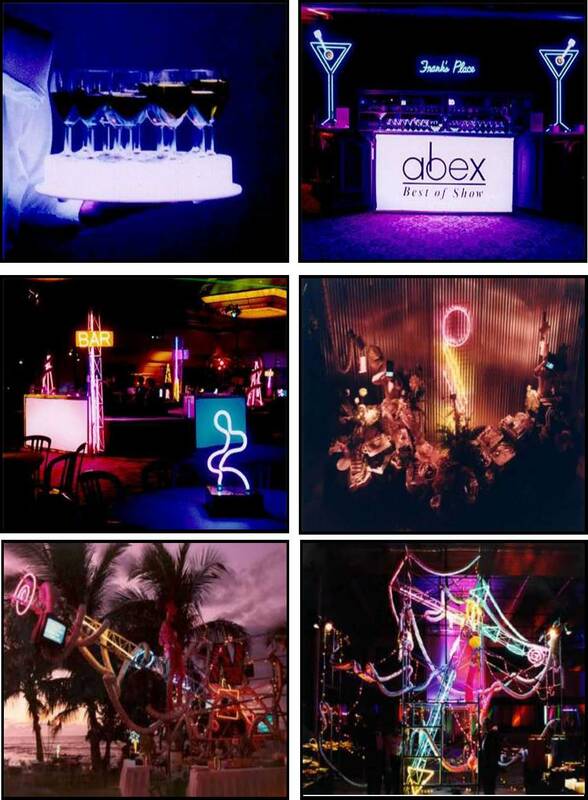 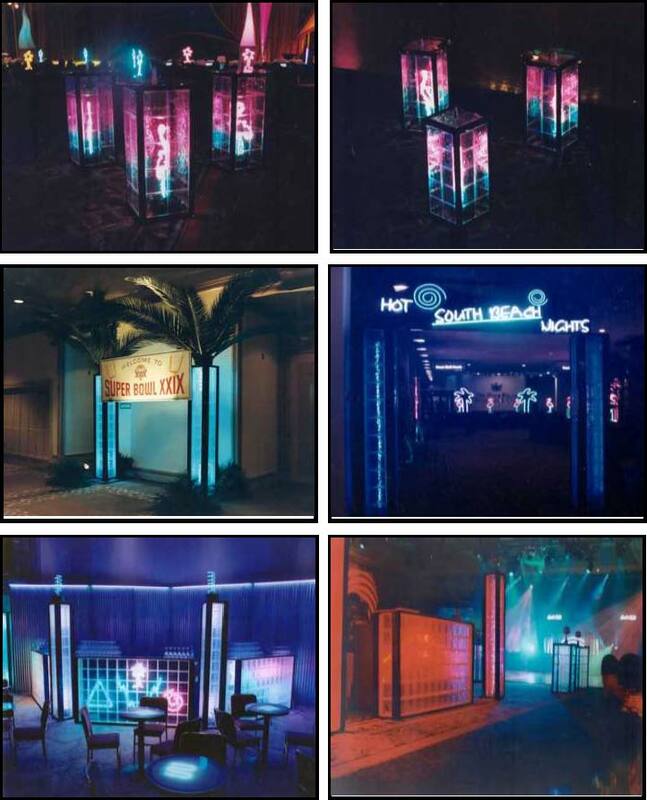 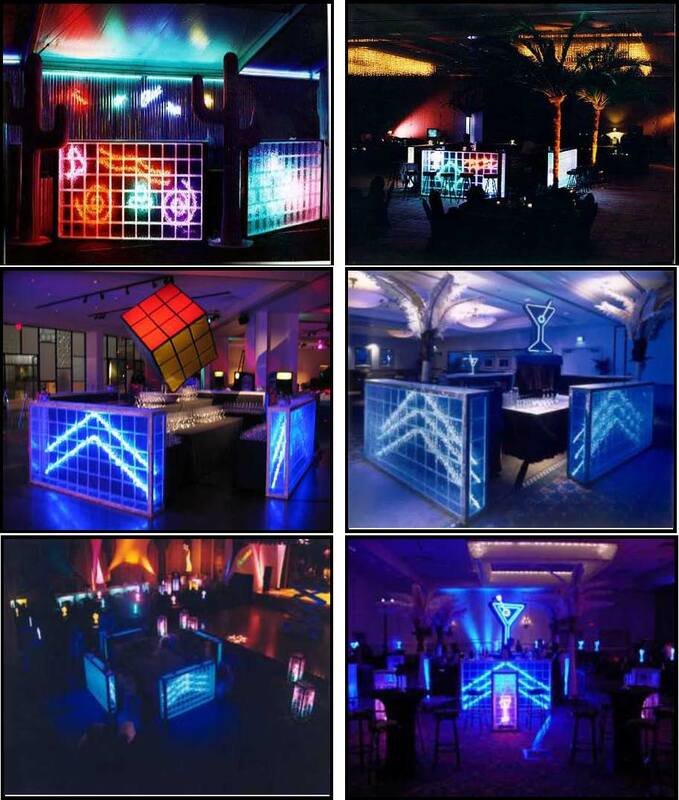 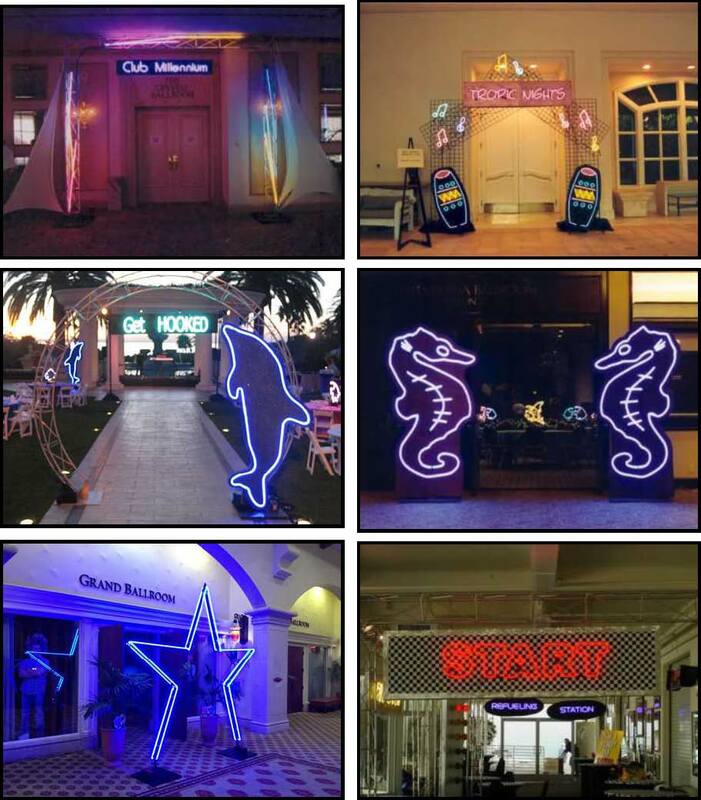 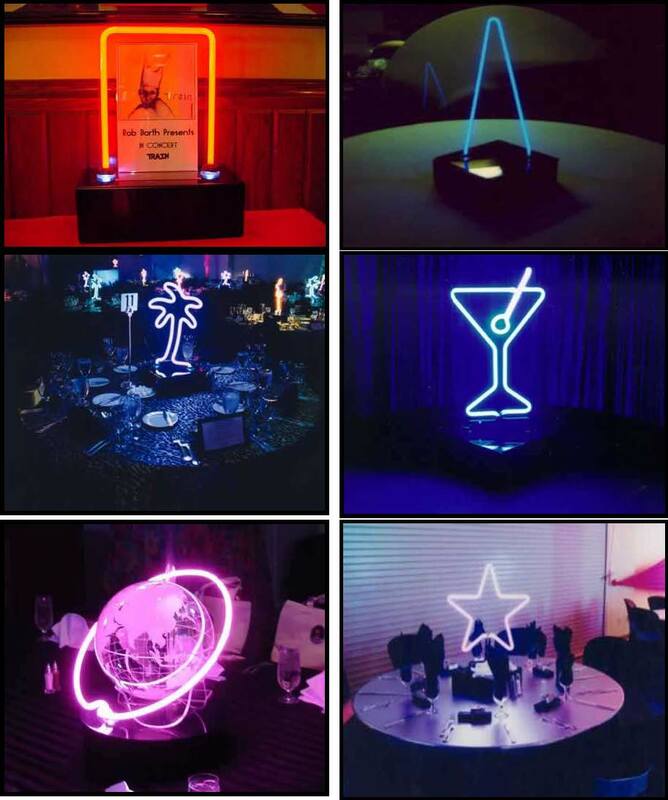 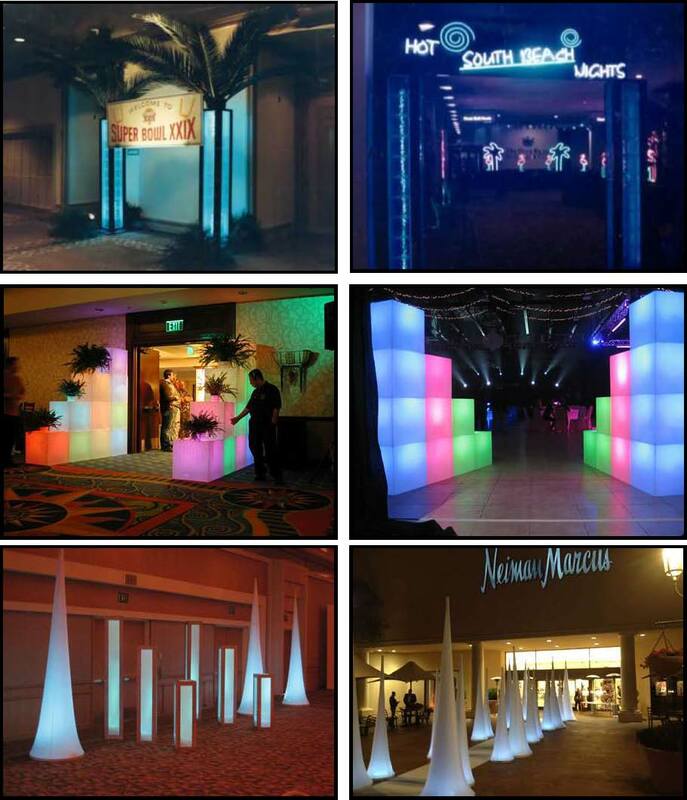 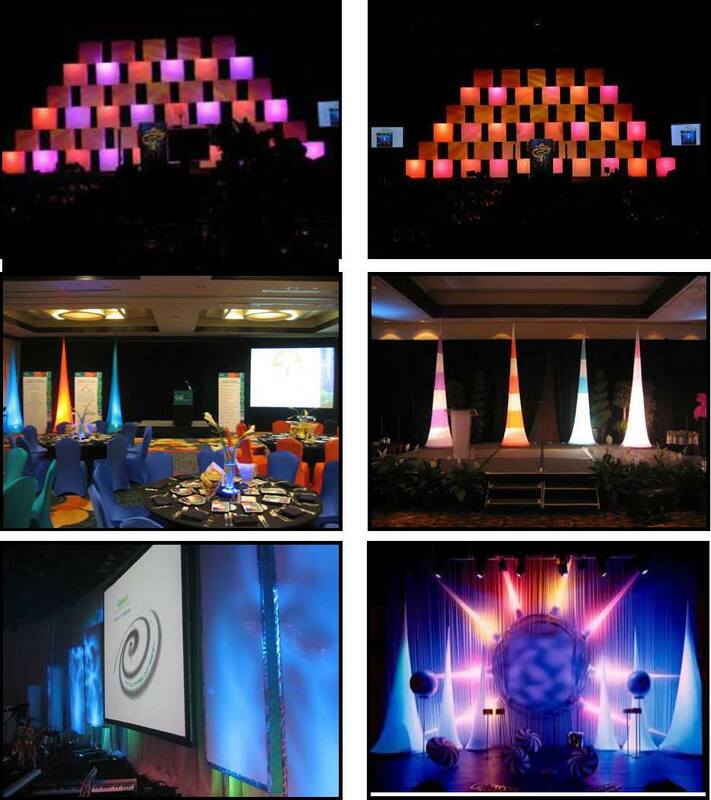 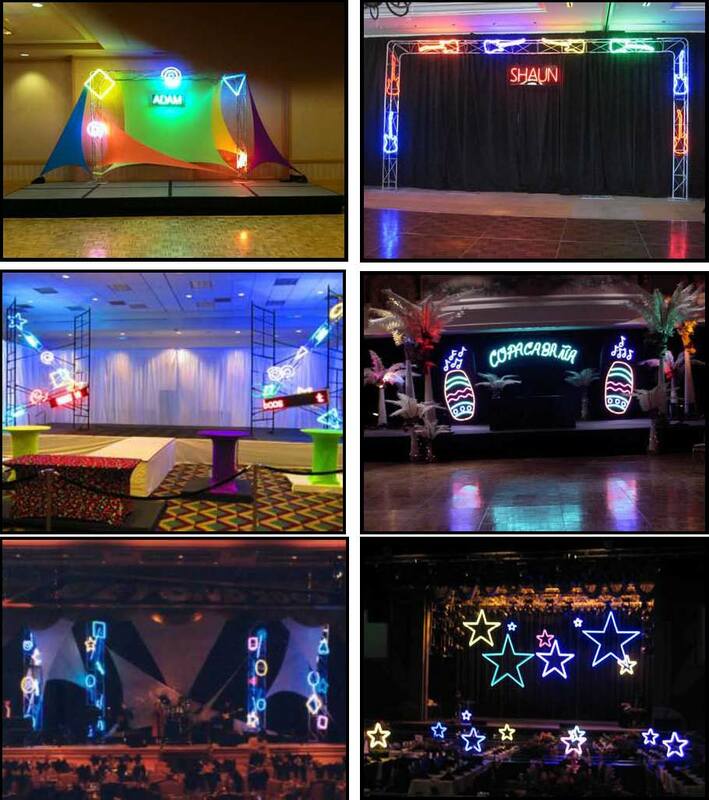 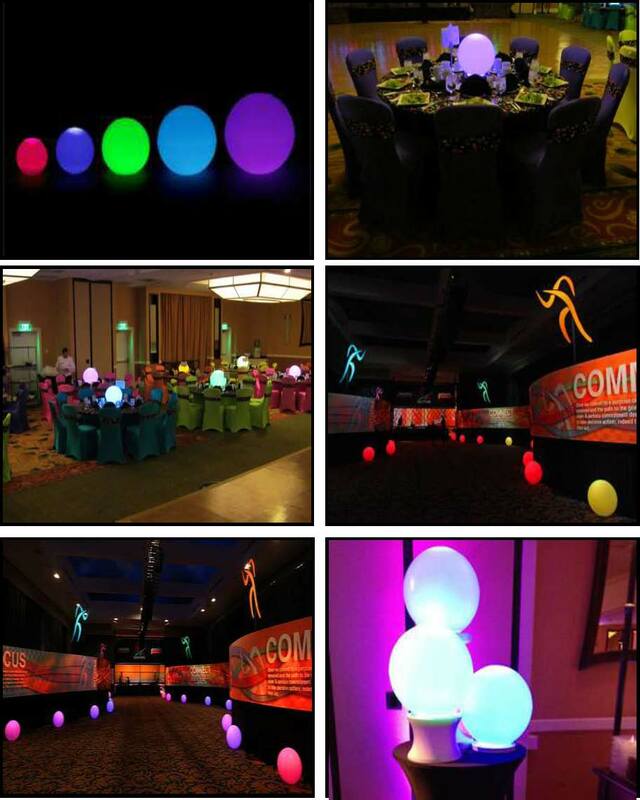 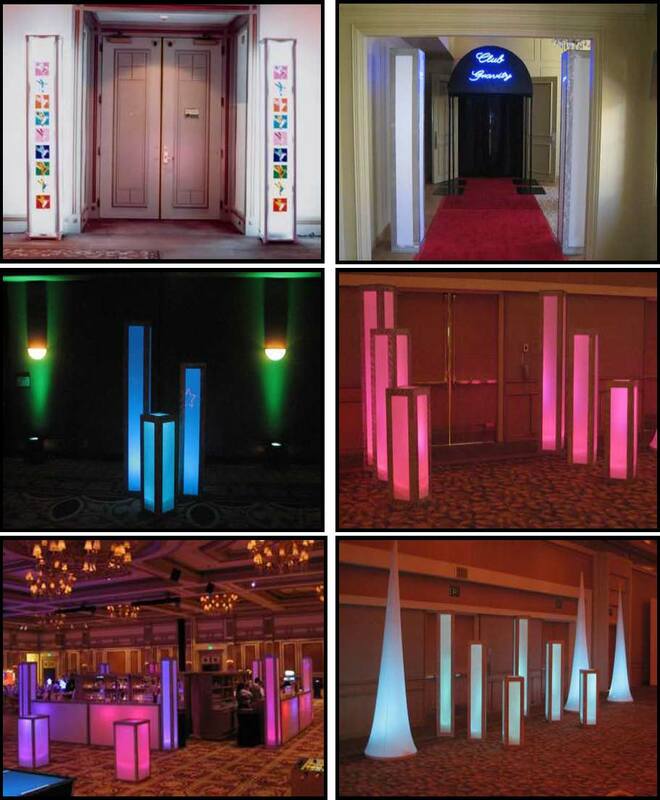 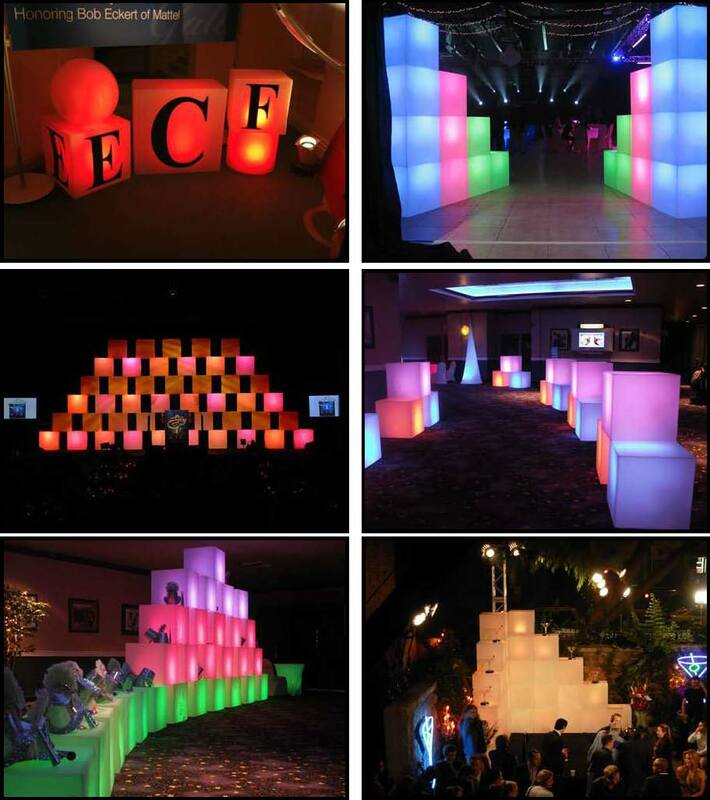 As the creator and inventor of illuminated glowing products for the special event industry over 25 years ago, my updated inventory, is unparalleled, in size and scope, in Western States and Nationwide. 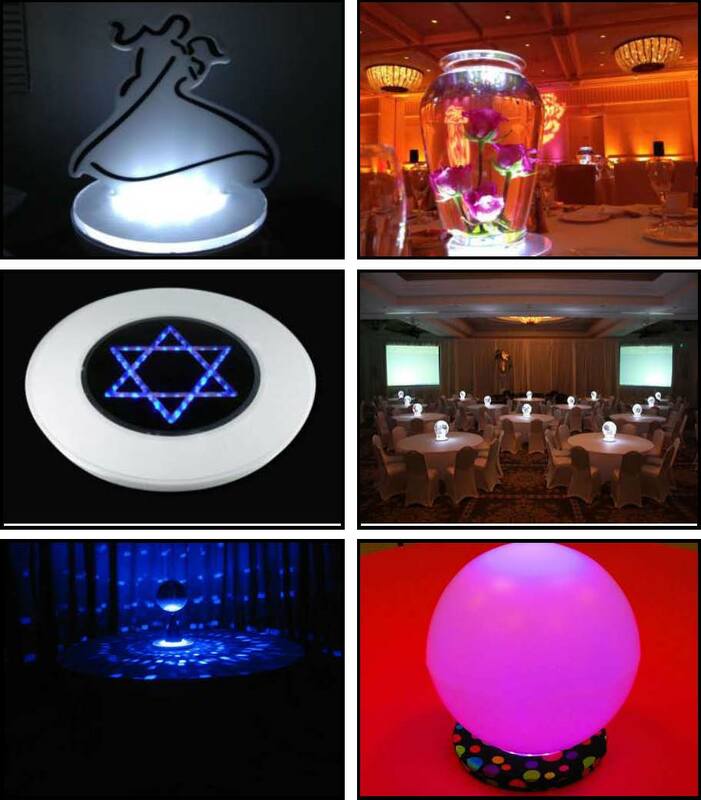 Virtually all of our GLOWING products are battery-powered and most have remote-controlled changing options. 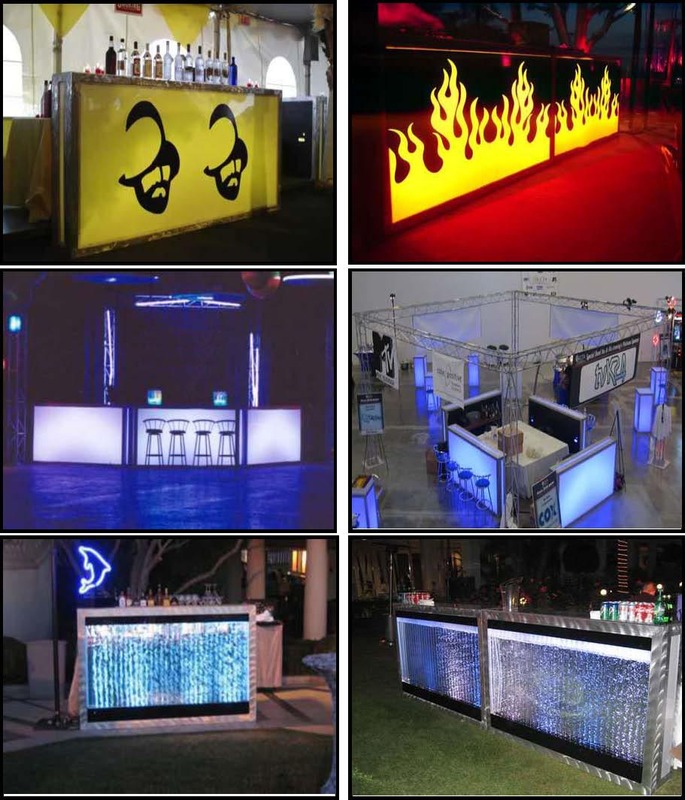 We have barfronts and standups, dining and buffet tables, and furniture and columns, many in multiple styles of designs and lighting elements. 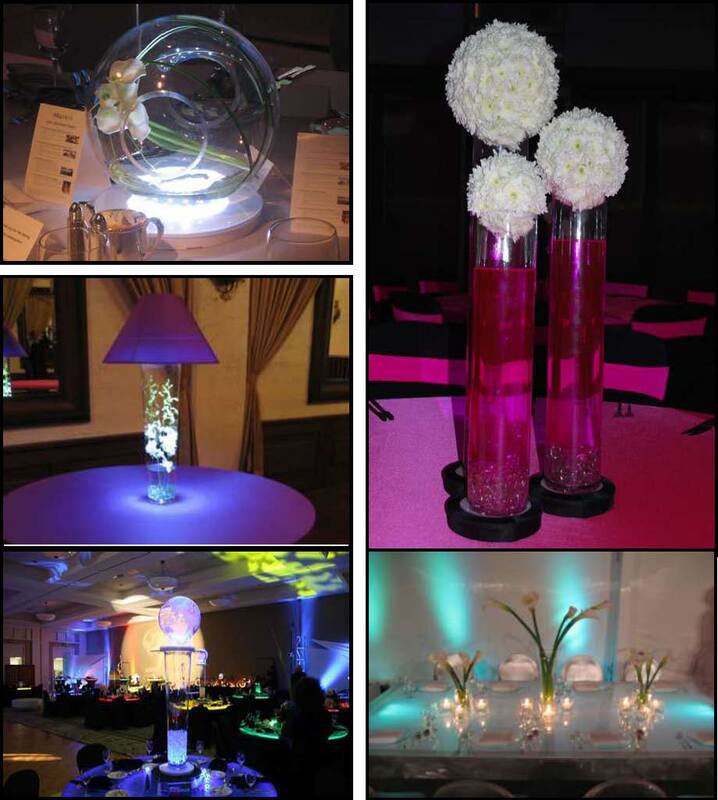 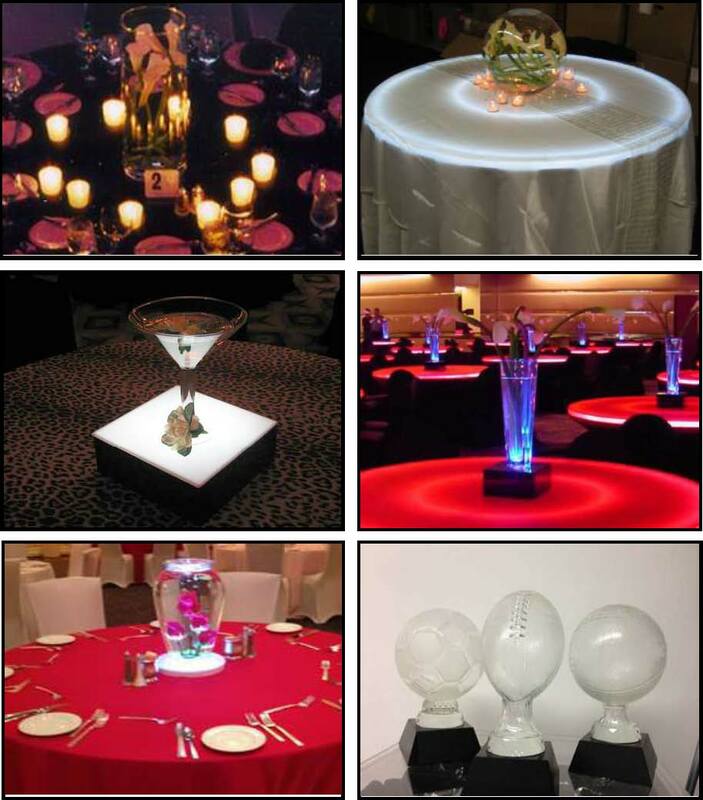 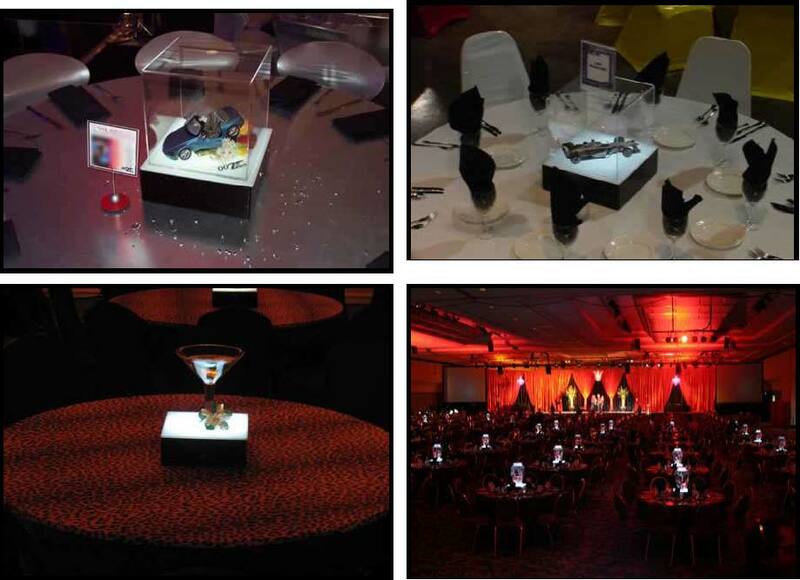 Table centerpieces are available in many shapes, sizes, and lighting effects. 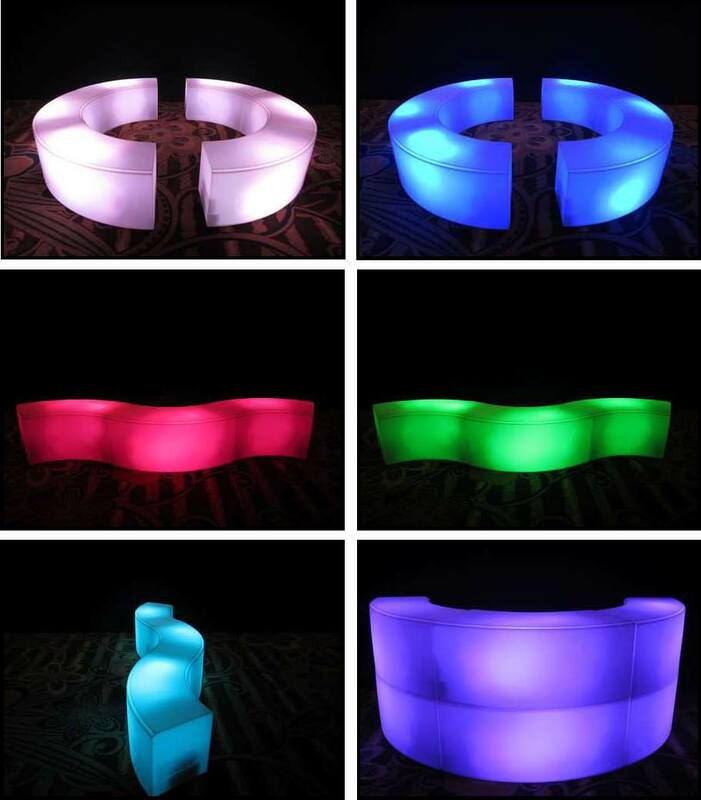 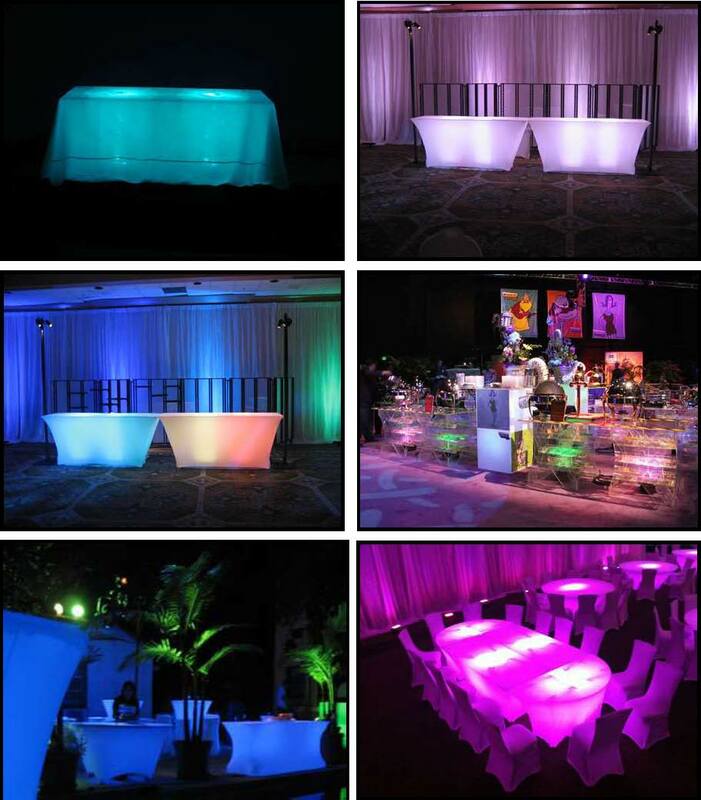 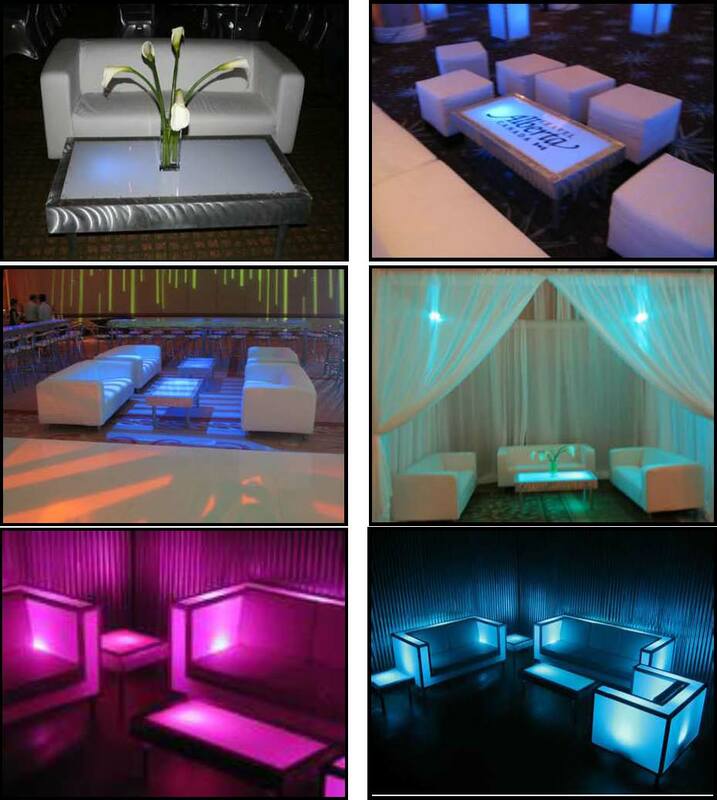 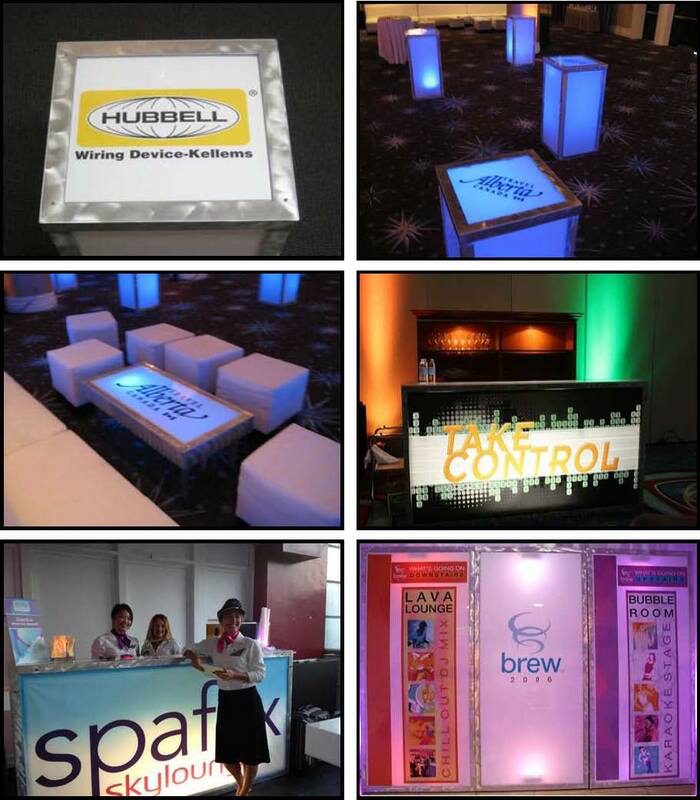 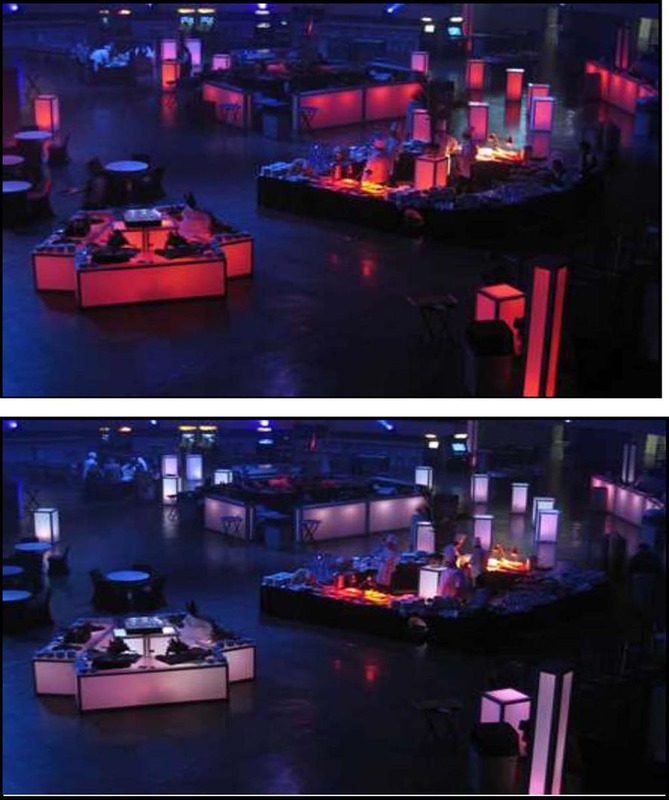 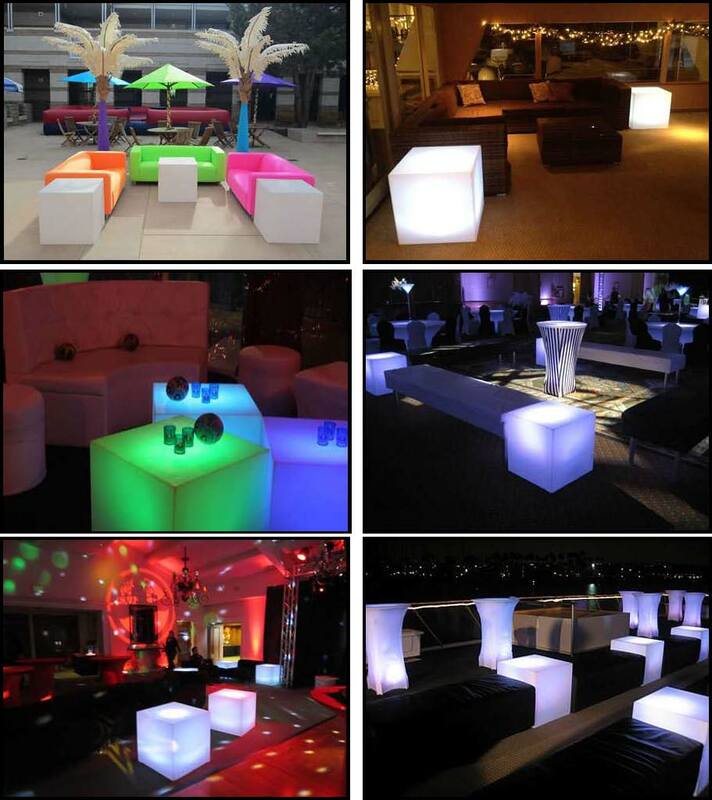 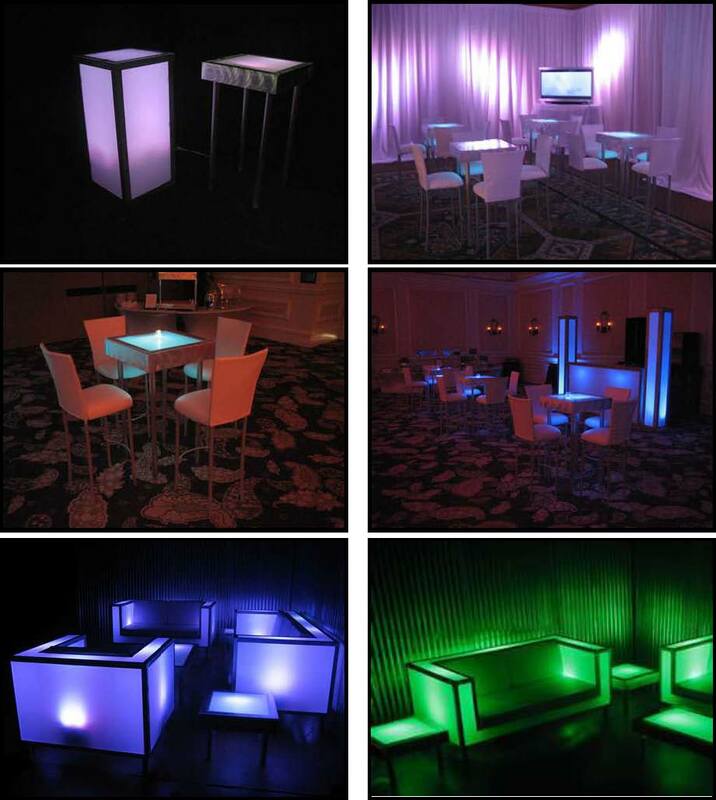 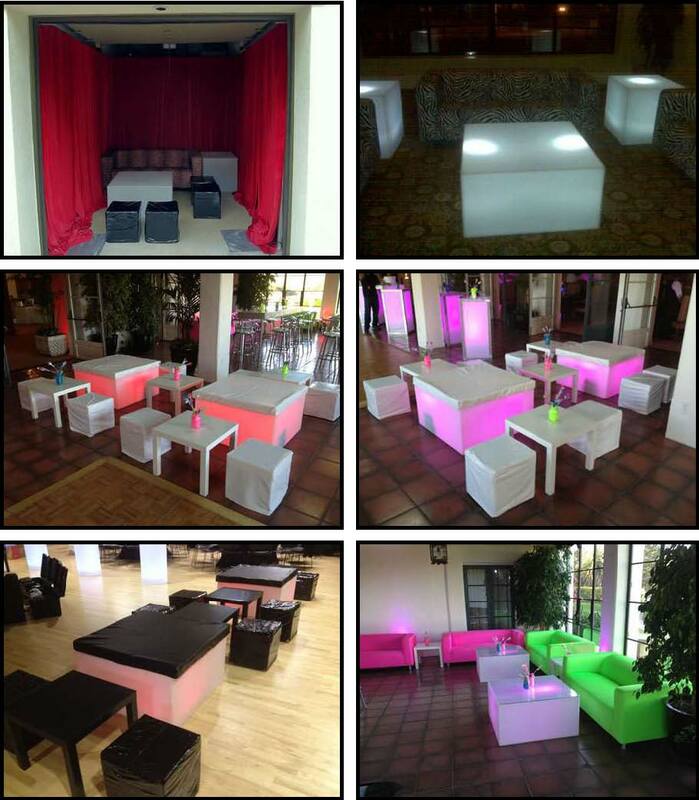 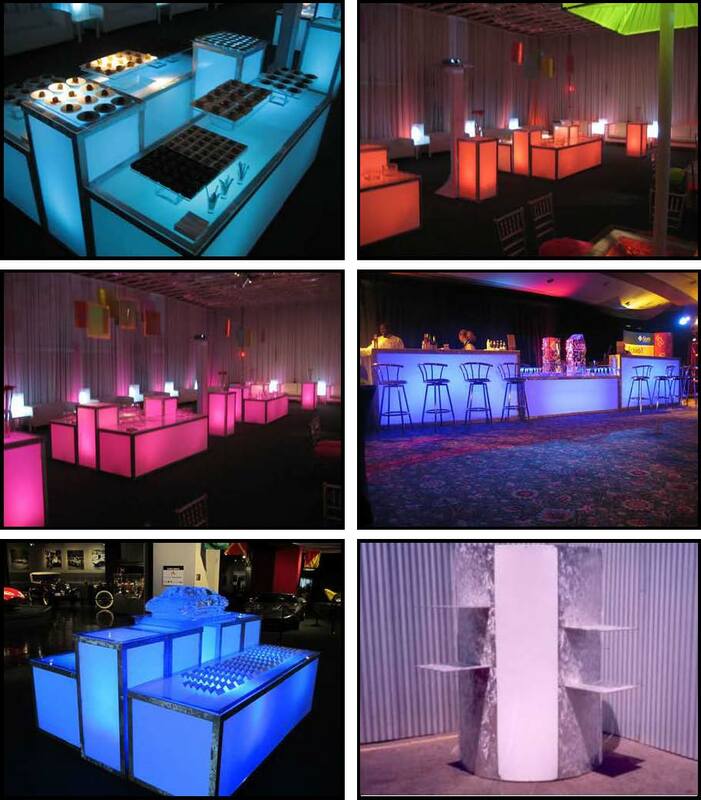 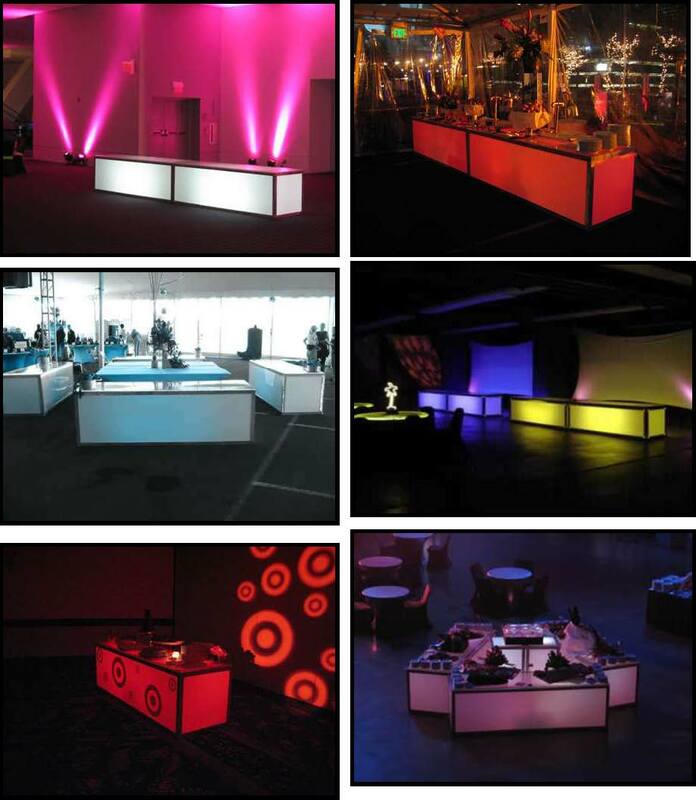 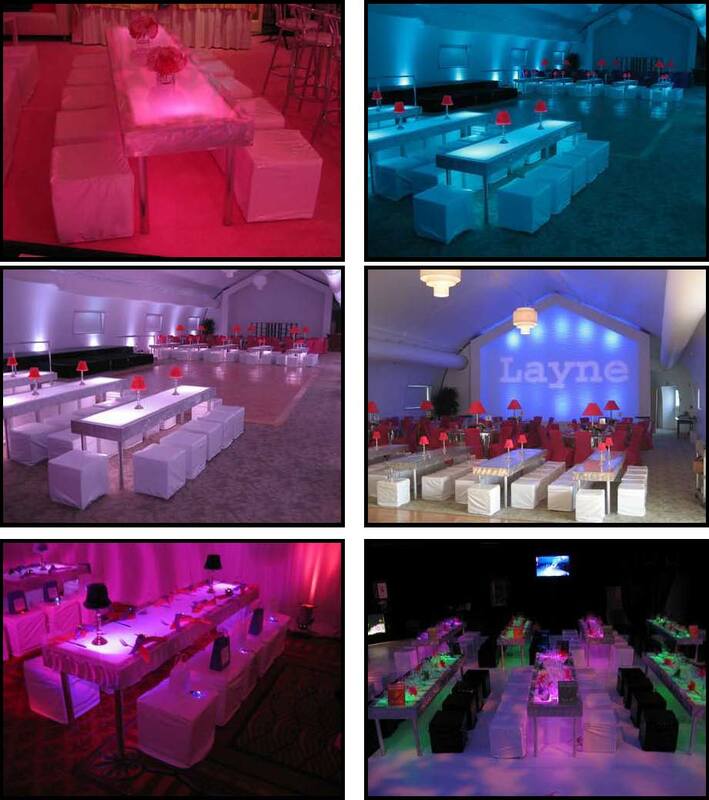 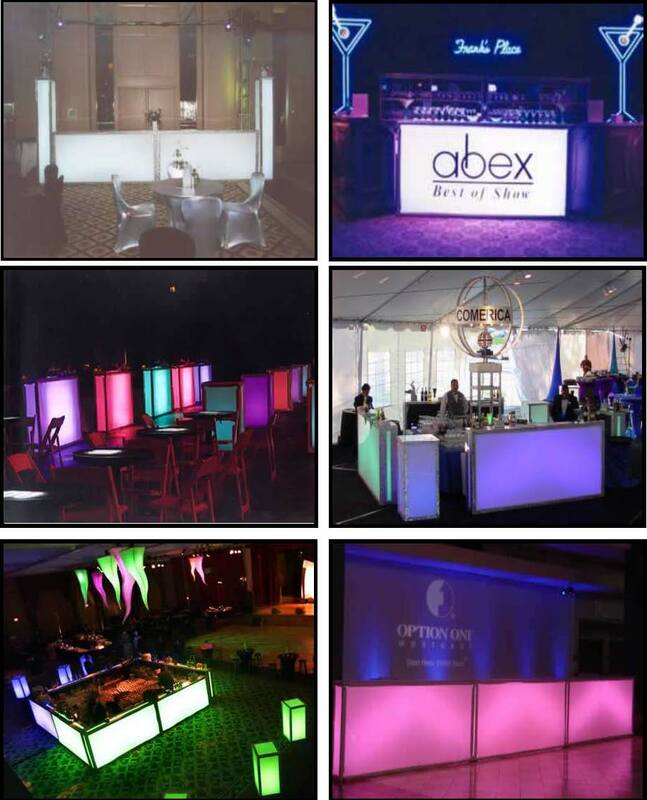 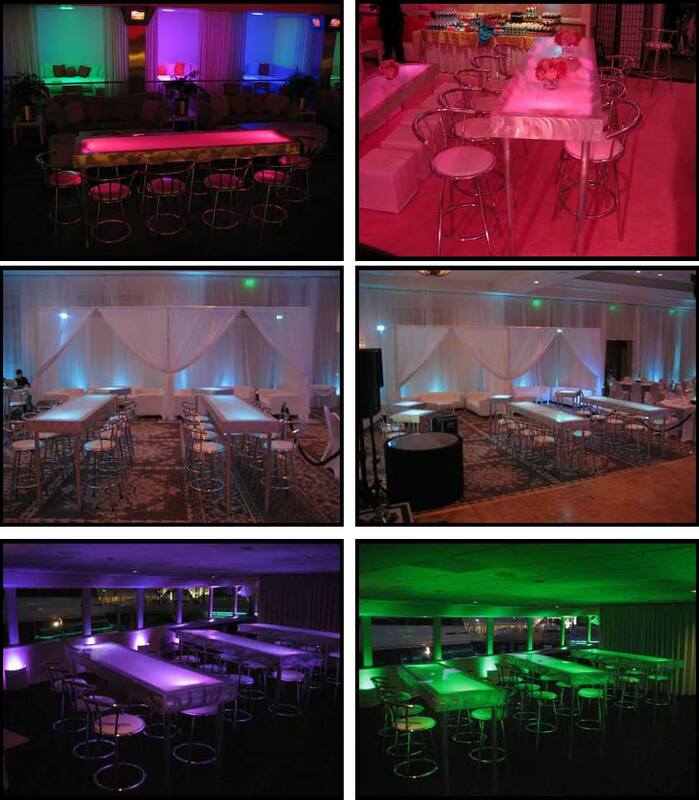 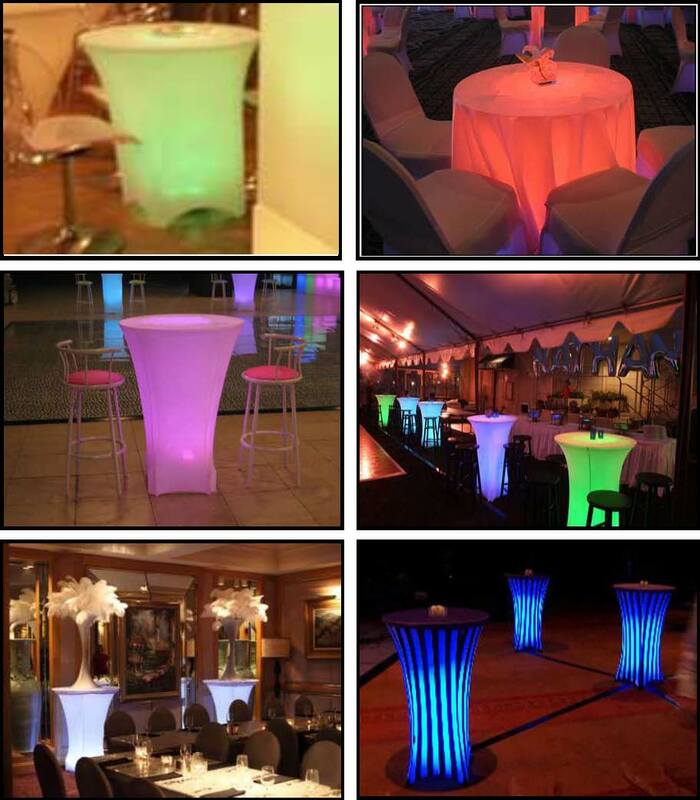 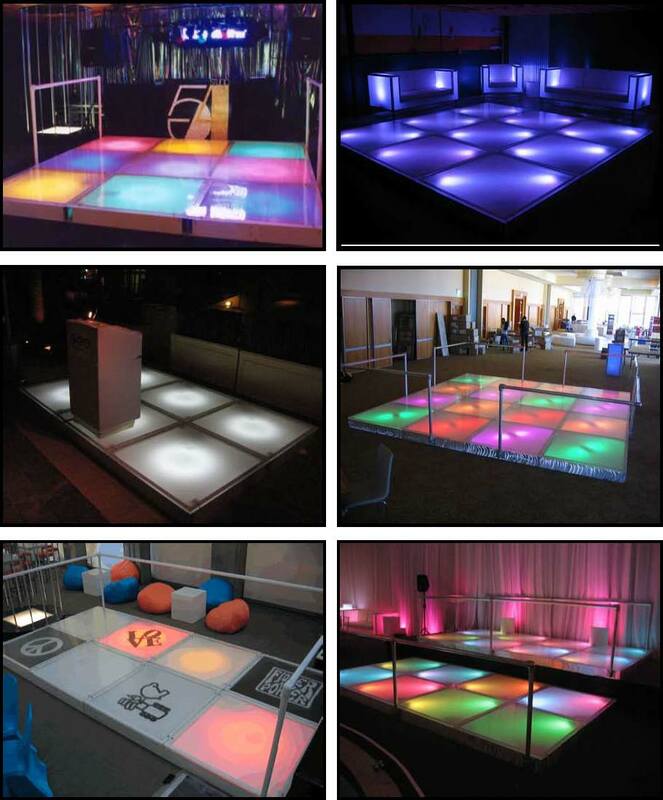 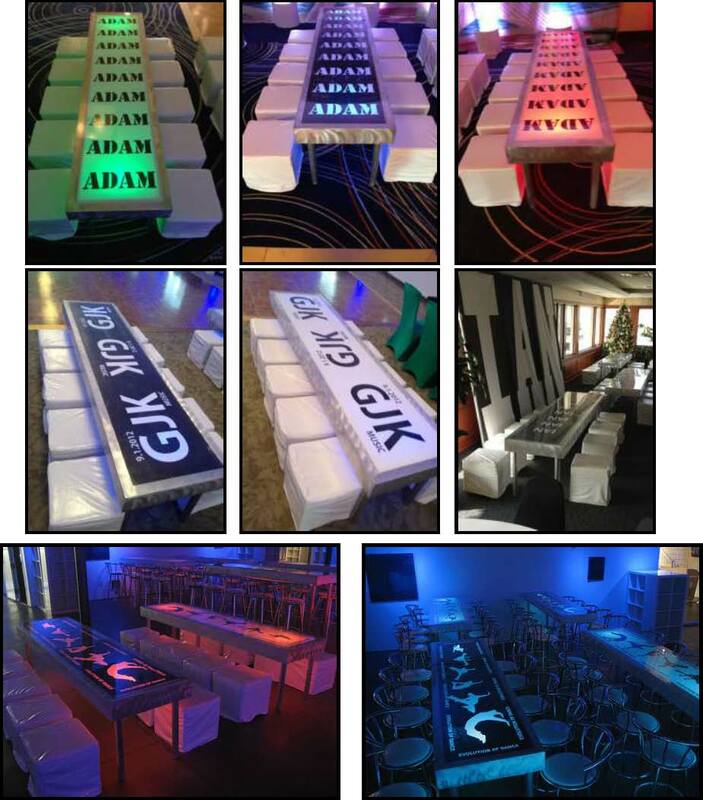 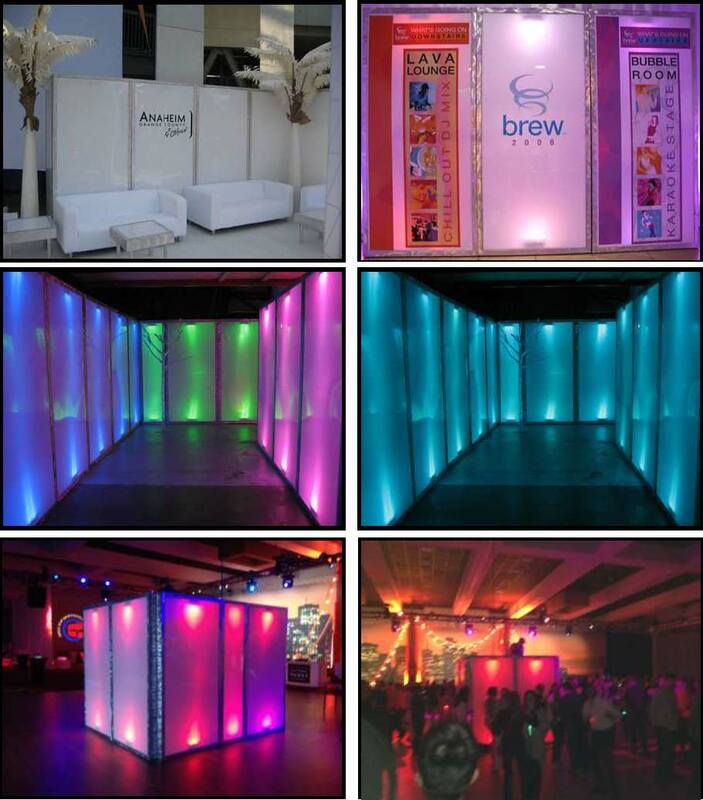 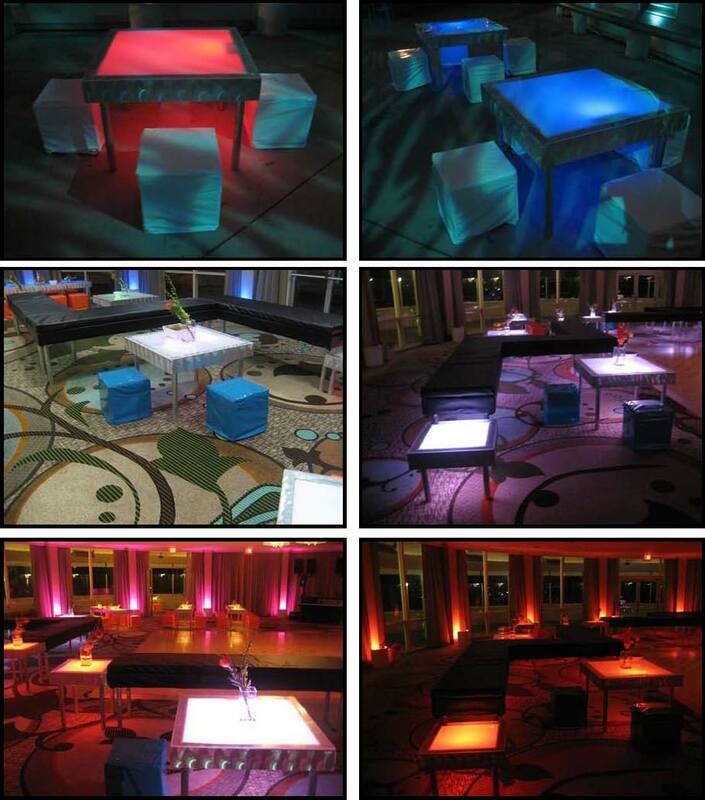 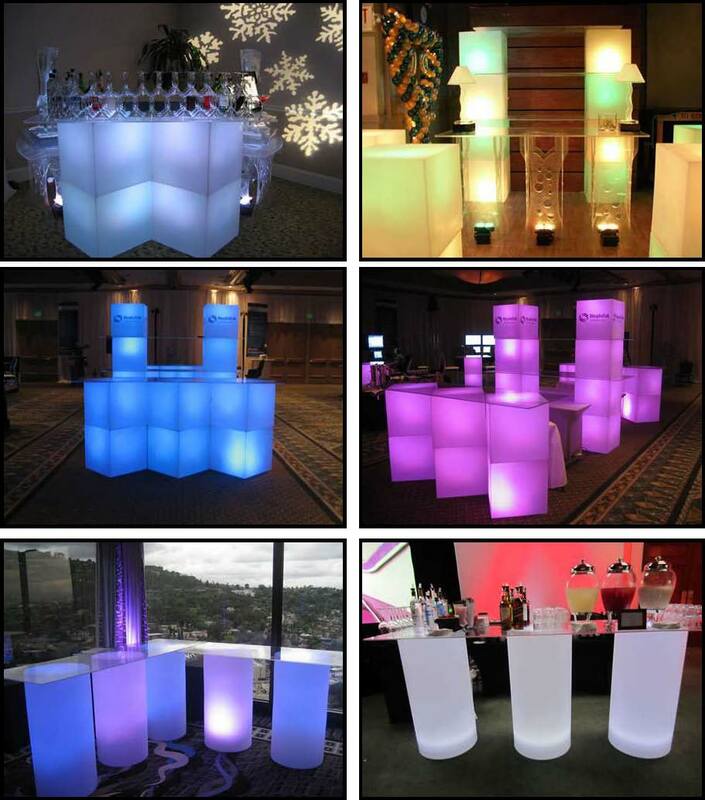 Many of these furnishings work well together with our spandex line of event coverings. 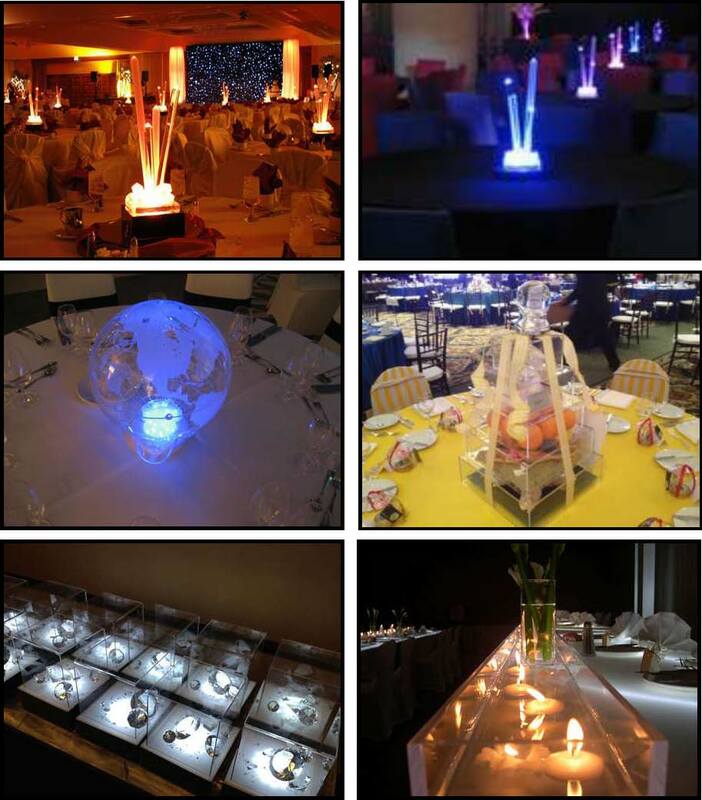 We are TRULY a one-stop shopping experience… not because we can procure all the items from multiple vendors… because we own it. 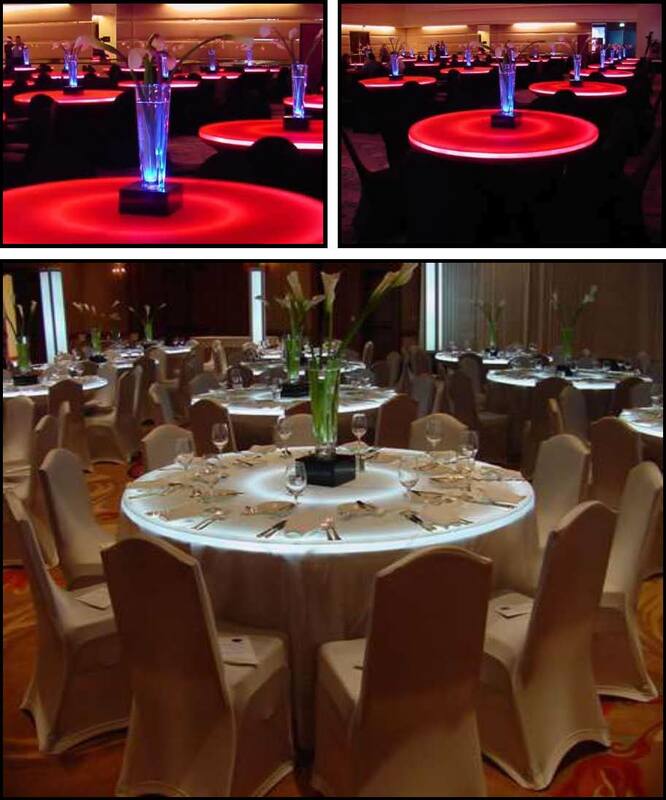 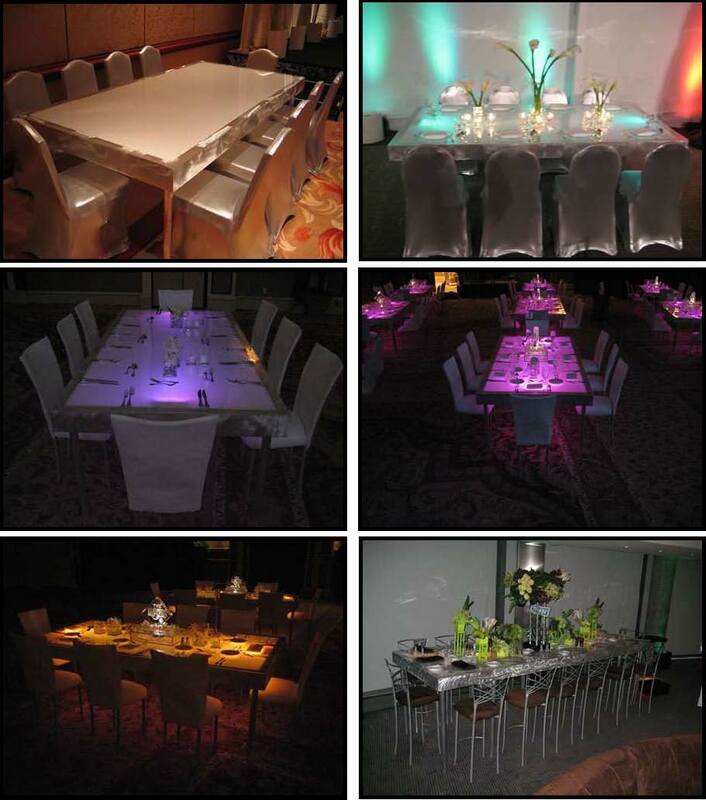 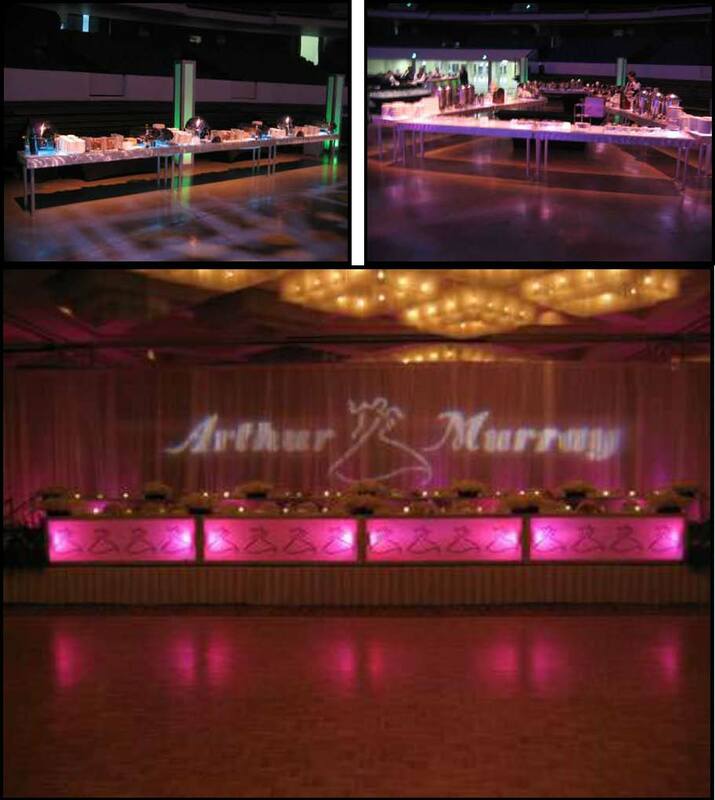 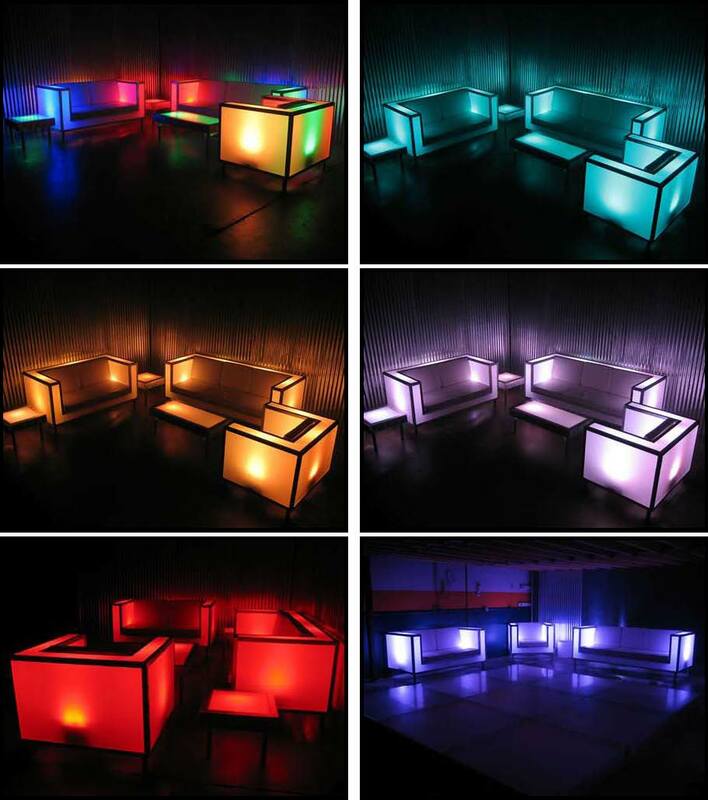 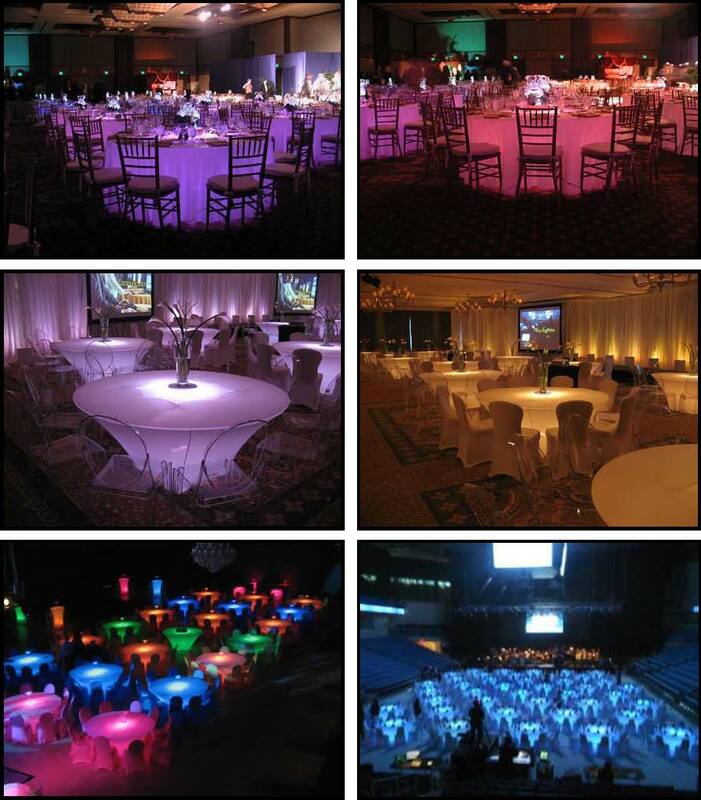 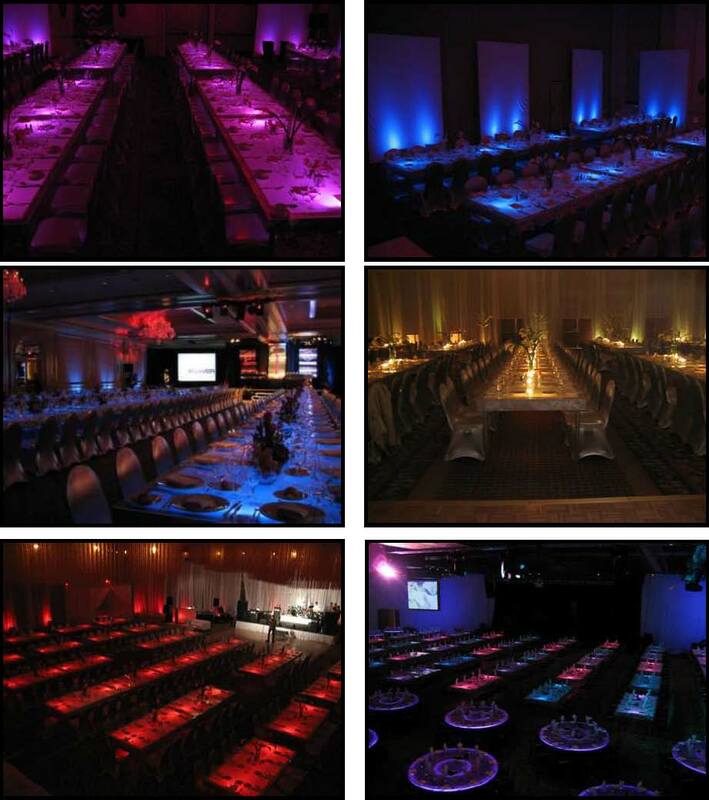 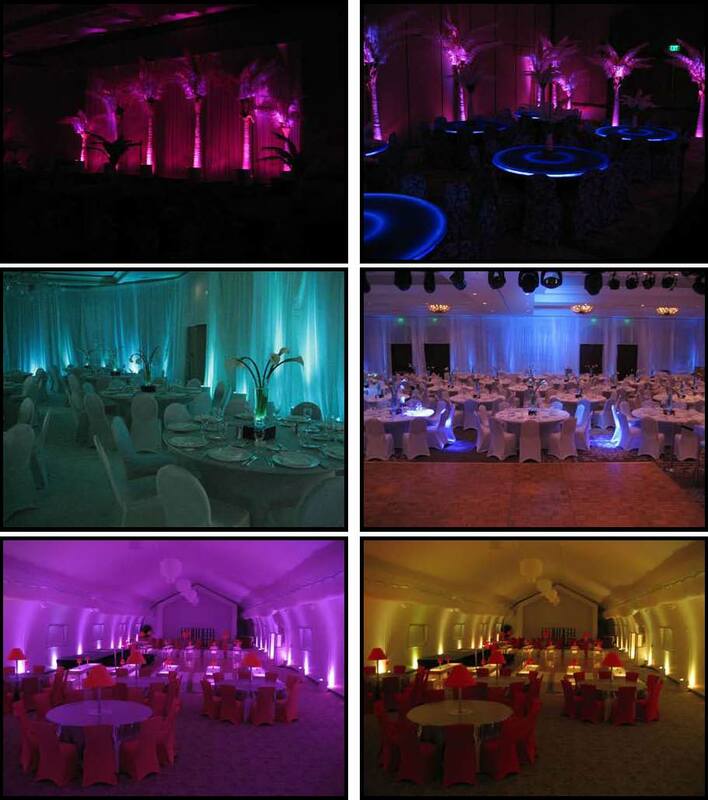 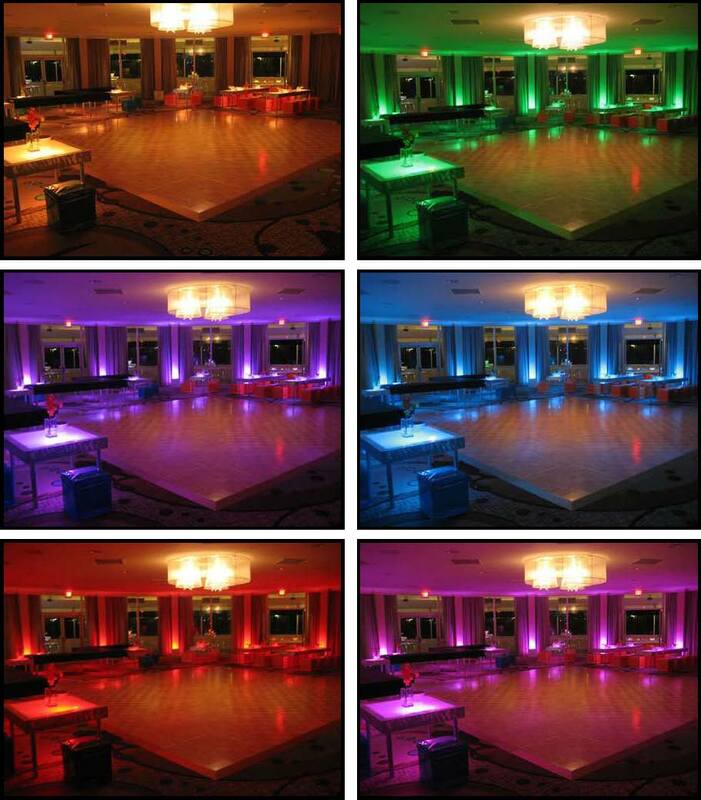 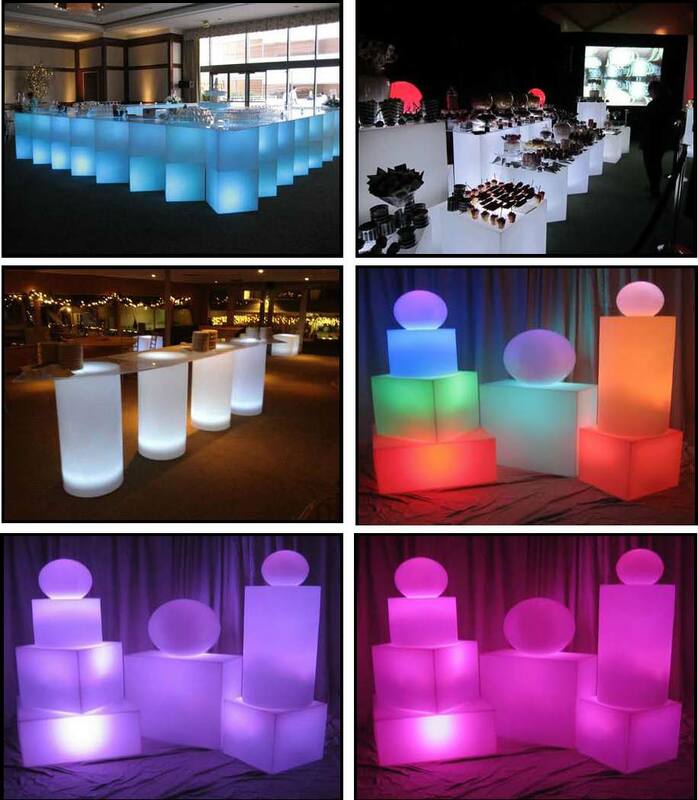 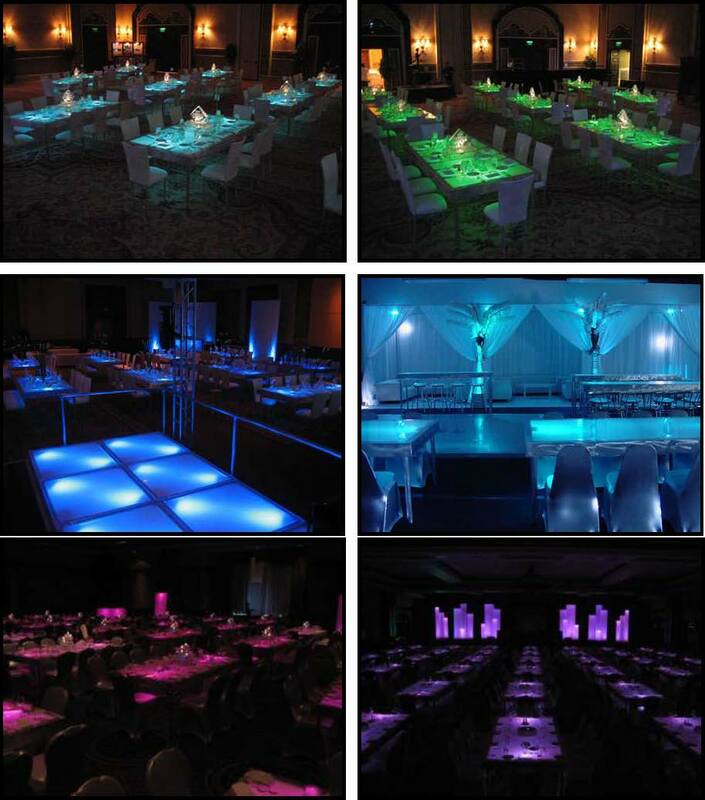 ILLUMINATED LEDs – 2 ft. x 2 ft.
ILLUMINATED LEDs - 3 ft. x 3 ft.
ILLUMINATED LEDs – 2 ft. x 4 ft.
Dinner Tables 4 ft. x 8 ft.